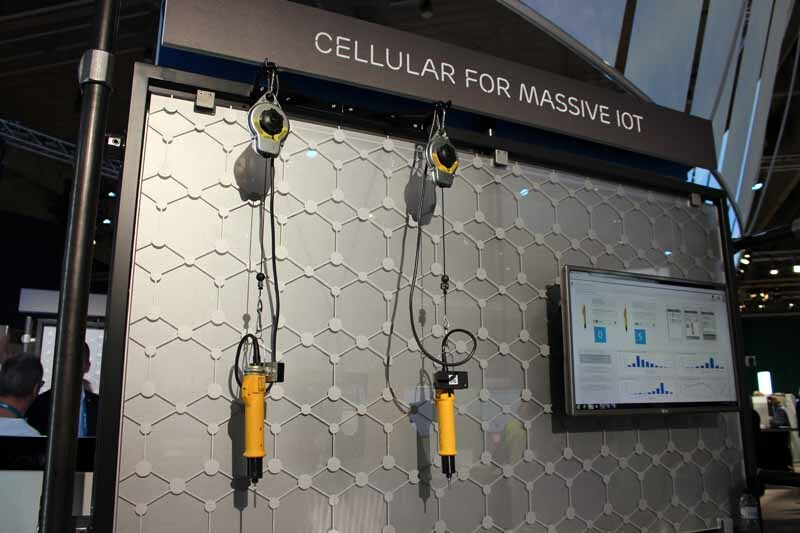 China Mobile and Ericsson share outcomes of its ongoing connected factory trial using cellular IoT for Industry 4.0 working with Intel. The trial, featuring a connected screwdriver among other tools, took place at Ericsson Panda Communication Company (a radio product manufacturing site and an independent subsidiary of Ericsson) in Nanjing. The outcomes of the trial are highlighted in a demonstration at Mobile World Congress 2017 in Barcelona. Several low power, wide area (LPWA) use cases are currently being implemented in the factory, such as production line monitoring, warehouse monitoring and package and materials tracking. The centerpiece of the demonstration to be shown in Barcelona is the connected high-precision screwdriver, with motion sensors attached to NB-IoT modules that transmit real-time data of the tools to the cellular IoT network. The demonstration is an end-to-end solution, covering terminals, networks to the platform, and analytics aspects. The setup consists of Ericsson's multi-mode radio equipment with new software supporting NB-IoT, Intel's pre-commercial software supporting NB-IoT, the Intel® XMM(TM) 7115 modem solution embedded in Fibocom's module, as well as China Mobile's OneNet IoT platform with its software development kit (SDK). There are about 1000 high-precision screwdrivers in the factory which require routine calibrations and lubrications based upon the amount of usage, all of which are recorded manually on paper today. With connected screwdrivers, the factory will be able to replace manual tracking of the tool usage data with an automated solution. Also, by connecting the tools over the Cellular IoT network, intelligent analysis of the collected data allows for optimized maintenance. The resulting benefits include a longer lifespan of the tools and reduction of human errors during operations. Screwdrivers with motion sensors attached to NB-IoT modules means that the factory will be able to automate the usage tracking of the screwdrivers. Chris Houghton, Head of Region North East Asia, Ericsson, says: "The combination of cellular IoT and Industry 4.0 has so far been fairly unexplored. Enabling IoT network technology such as Cellular LPWA, together with cloud-based solutions, give manufacturing firms access to more information than ever before. The opportunity to use data to increase productivity is not only beneficial to a firm, but the whole of society as well." Weng Kuan Tan, Vice President and General Manager of Intel's Client Computing Group China, says: "Intel is a leading 3GPP Release 13 standardization contributor, developing a Release 13 NarrowBand IoT (i.g. CAT-NB1) based solution with the Intel® XMM(TM) 7115 modem chipset. Intel will work with China Mobile and infrastructure companies to enable NB-IOT fast commercial deployment as we advance toward a 5G future." China Mobile is committed to accelerating the development of cellular IoT technology and its ecosystem. On the one hand, China Mobile leads the incorporation and unification of NB-IoT standards by completing the world's first lab testing on NB-IoT and making large-scale field trials and application exploration, in order to research cellular IoT networking schemes and facilitate fast maturation of end-to-end products. On the other hand, it originates the establishment of the 5G Joint Innovation Center by uniting cross-industry and cross-region industry partners as well as international organizations, such as GTI and GSMA, builds open labs, makes business and product innovation, promotes 5G networking cost reduction, and builds a dynamic, innovative, mutually beneficial and value-sharing industry ecosystem. Ericsson's Houghton continues: "Ericsson is dedicated to helping operator customers around the world embrace the opportunities of IoT, 5G and Cloud. With our global leadership and experience in IoT standardization and applications, we will work hand in hand with China Mobile to realize the full potential of the Networked Society."